This book will allow you to build your own wooden plane in a weekend, as well as learn how to use the tool properly. 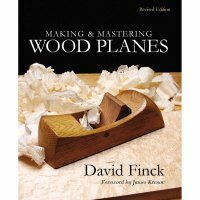 The author gives a number of general tips for woodworking and focuses intensively on all planing techniques and the details of making wooden planes. This successful book is already in its third edition and is a standard work on the subject of making wooden planes.